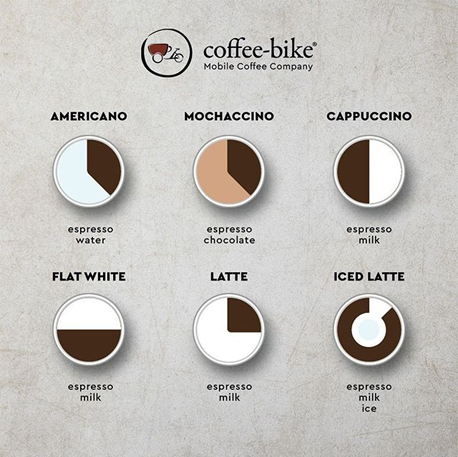 Coffee Bike is a lucrative franchise option which has continual growth in food & beverage segment. 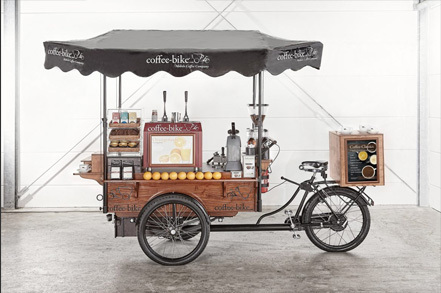 Coffee Bike lets you try different locations which act as huge advantage in the mobile coffee business. The bike design assimilates nostalgic retro look with sturdy machinery capable of outdoor operations. There are successful outlets operating across Bengaluru. Coffee Bike offers opportunity for potential entrepreneurs looking out for great start- ups within specific space and investments. Now with more than 200+ franchisees across 18+ countries, Coffee Bike Chain serves certified organic coffee and exclusive tea varieties complemented with fresh orange juice and snacks. The Coffee-Bikes are self-sufficient with a port-a-filter espresso machine and a Grind on demand device to serve fresh expresso. Successfully operating in Bengaluru, we are looking for potential franchisees to become part of our success story in India.